The feeling of security is one of the most of their assets that you can have. Residents and commercial buildings alike need to invest in security to protect the things that they care about most. For commercial buildings, this may be a cash register. For residents, this could mean your possessions or your loved ones. Our surveillance camera systems are designed to protect West Palm Beach buildings so that you have peace of mind and matter where you are in the world. We work hard to help your business or home gather video evidence that can hold up in the court of law. Our advanced security systems tie in to an alarm system that will sound loudly in the event of a break-in. This not only helps defer you from potential theft or harm, it also gives you the video evidence you need to prove the event happened. This is crucial if you are filing an insurance claim. Working with our professional CCTV camera installation company in West Palm Beach will help you ensure that you get a top-quality security system. Our professional service will give you the personal attention you need to make a great decision regarding your security needs. There are several different benefits to working with our CCTV security camera installation company. Whether you have a large commercial building or a small home, we offer some of the most affordable CCTV camera installation services in West Palm Beach Florida. We strive to deliver a system that will work well for your home or office. We want to add value to your security set up so that you can get all of the advantages of owning a security system. The majority of our customers are concerned with gathering evidence with their security system. All of our cameras record high quality video footage and sound. This helps you capture a variety of different moments in the area of your choosing. While this is designed to catch criminals, it can also be used to monitor friends and family as well. You should know if your friends are stealing from you during dinner party or going into areas of the house they are not welcome and. 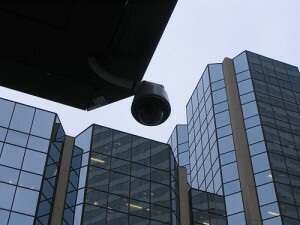 Monitoring your home or office can help you confront these issues will import them. Should legal issues arise from situation, you can use the recordings you made as evidence as you try to build your case. Professional CCTV camera installation services in West Palm Beach will be happy to answer any questions you may have regarding your new system. Your system is designed to give you peace of mind, and having knowledge of your system is what helps you read all of the benefits. Personalized attention also helps you choose a system that works well for your home or office. 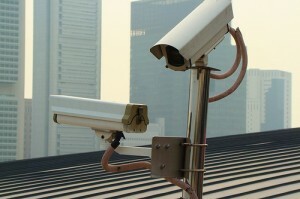 The truth is that there are several different CCTV cameras available on the market today. All of these different services have their own unique benefits. The cameras themselves have different quality film that they can record and may have their own additional security features that tie into the service you are receiving. For example, some security systems can type directly into an alarm. This alarm makes a loud sound when someone enters the area and notifies the authorities immediately. Using a smartphone app, you can receive notification whenever this area is entered. You can see a summary of the actions that were taken as well. This allows you to completely monitor your area from anywhere in the world. The best CCTV camera installation services in West Palm Beach Florida also offer a free consultation service. This consultation service allows you to see firsthand how a security system will benefit you and your family. You’ll be able to get insights into the equipment that you will you and discover extra services that you may be interested in. Your experienced technician will be able to give you personalized attention during their visit. You will be able to discover any details that you are unclear on and find a security package that meets your budget requirements. This is also a great time to discuss the cost of ongoing security maintenance. Contact a CCTV security camera installation service in West Palm Beach Florida today to learn more!